The fan-less 11.6-inch Windows tablet is guaranteed to survive through shock, vibration, rain, dust, sand, temperatures as high as 140 F (60 C), and a drop of up to 6 feet without a sweat. The rugged and fully closed system competes directly with the Dell Latitude Rugged series also designed for extreme conditions. Surface tablets and iPads may be perfect for the typical home or office, but field workers and industrial environments will likely demand something a little sturdier to resist the elements. 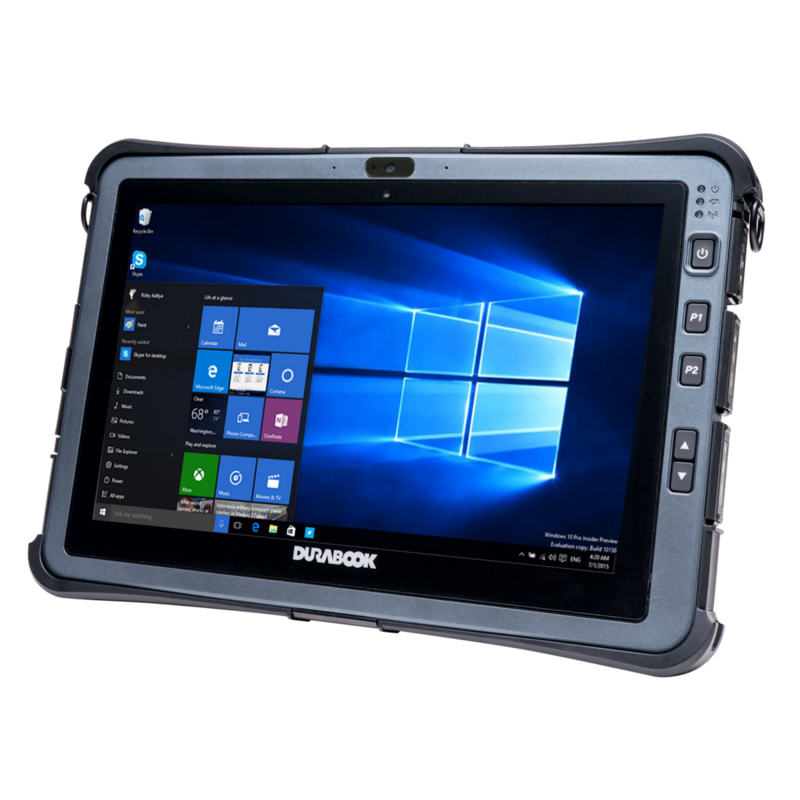 Durabook caters directly to these types of workers who can benefit from rugged PCs and the U11 is the company's latest rugged tablet inspired by the latest hardware features of many consumer-centric offerings. Core specifications for the 11.6-inch Windows tablet can be found on the official spec sheet linked below. Some of its more interesting or exotic features include a "stealth/night vision mode" to allow operation at night without blinding the user or giving away his or her location and a FHD 1080p display that promises full readability when under direct sunlight. The similar Dell Latitude 14 Rugged tablet, for example, can be as bright as 1100 nits or over 3x brighter than most modern Ultrabooks. A slightly disappointing aspect of the U11 is its reliance on passively-cooled 7th generation Core CPUs like the m3-7Y30, i5-7Y54, or i7-7Y75 depending on the configuration. These last generation CPUs are slow in both processing power and graphics performance, but reliability and consistency are likely front and center over raw horsepower since there are still no passively-cooled Coffee Lake CPUs available as of this writing. The Durabook U11 is now shipping with price quotes provided upon request from the manufacturer. Fremont, CA – March 15, 2018 – Durabook Americas, Inc., the North American branch of Twinhead International Corporation, today introduced the newest member of the DURABOOK family, the fully rugged 11.6” DURABOOK U11 tablet. The new device features an Intel® 7th Generation CPU, Windows® 10 Pro, MIL-STD-810G and 461F ratings, DOD-level security and a full HD sunlight readable LCD. The U11 is ideal for flight line maintenance, field diagnostics, and data collection applications, found in a variety of demanding markets, including defense, law enforcement and field service, where users often operating in extreme conditions. The U11 is available with one of three Intel® 7th Generation CPUs (m3-7Y30, i5-7Y54, or i7-7Y75 with vPro), 4-16GB of RAM, and a 128-512GB quick-release SSD, giving remote workers the power to complete nearly any task in the field. The new device also features Windows® 10 Pro, the most secure Windows ever. Windows 10 meets the needs of DOD customers by offering users a layered defense to help protect, detect and respond to security threats. Designed for workers who face the most challenging operating environments, the DURABOOK U11 is MIL-STD-810G certified for drop (6’), shock, vibration, rain, dust, sand, humidity, freeze/thaw, high/low temperature (- 4°F ~ 140°F), and temperature shock. The device meets MIL-STD-461G for electromagnetic interference, ANSI 12.12.01 C1D2 for explosive atmosphere, has an IP65 rating, and meets many other key specifications. It’s sealed, fanless design means dust, sand and other small particles are kept out. 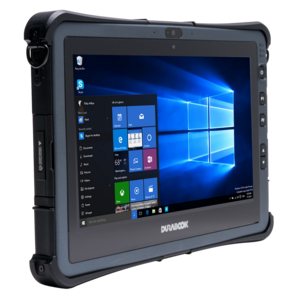 The DURABOOK U11 is the only 11.6” rugged tablet with a quick-release SSD, making it easy for DOD customers to remove and store vital information is a secure location, at a moment’s notice. The device also features TMP 2.0, an insertable SmartCard/CAC reader and optional Intel® vPro™ Technology, fingerprint scanner, and contactless SmartCard/CAC reader. 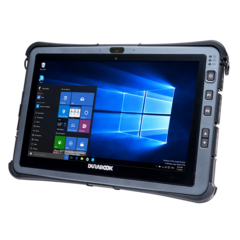 To meet the needs of mobile workers operating in environments that are not suited to consumer technology, including rain, direct sunlight, long times away from a power source and extreme temperatures, the DURABOOK U11 was designed with the end user in mind. The 11.6" FHD (1920 x 1080) LCD, features a 10-point capacitive multi-touch panel allowing users to keep their gloves on when engaging with the device, and its touchscreen operates, even when wet. The display features anti-glare and anti-reflective film, making it readable in direct sunlight. For law enforcement and military personnel, the U11 has a stealth/night vision mode, allowing operation without exposing the user in light. The device’s hot-swappable battery enable workers to operate uninterrupted when charging isn’t an option. To increase productivity, situational awareness, customer support and bottom-line value, a mobile workforce requires world-class connectivity. The DURABOOK U11 features the latest Intel® Dual Band wireless AC 9260, which supports faster downloads with 160Mhz bandwidth and a maximum speed of 1.73Gbps. Bluetooth 5.0 offers improved battery life over Bluetooth 4.2. The U11 has optional 4G LTE-Advanced Pro multi-carrier mobile broadband, which delivers10x faster download speeds, 3x faster uplink speeds compared to 4G/LTE module, and works with band 14 for FirstNet™ Public Safety Networks. An optional dedicated GPS is also available. Known for reliability, performance and attractive acquisition costs, the DURABOOK brand has a loyal customer base around the globe. 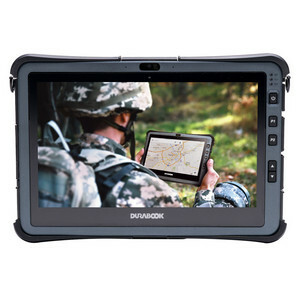 DURABOOK devices are used by most branches of the U.S. Armed Forces, public safety agencies across the country, numerous field service organizations, as well as companies in oil & gas, logistics, healthcare, utilities and automotive markets. To help its customers address the challenges and complexity of deploying and managing their mobility solutions, Durabook Americas offers a wide range of support services. These services include device customization, consulting, disk imaging, deployment assistance, installation, extended and no-fault warranty options, warranty depot repair center with 48-hour turn-around-time, live call center, device retirement, and an online support center for drivers and manuals. DURABOOK rugged computers are available from authorized resellers. All products include a standard three-year warranty. The U11, R8300 and R11 warranty also covering accidental damage. For warranty details go tobit.ly/DurabookWarranty<wbr />. Sales inquiries for DURABOOK products should be directed to Sales(at)DurabookAmericas.com or 800-995-8946. 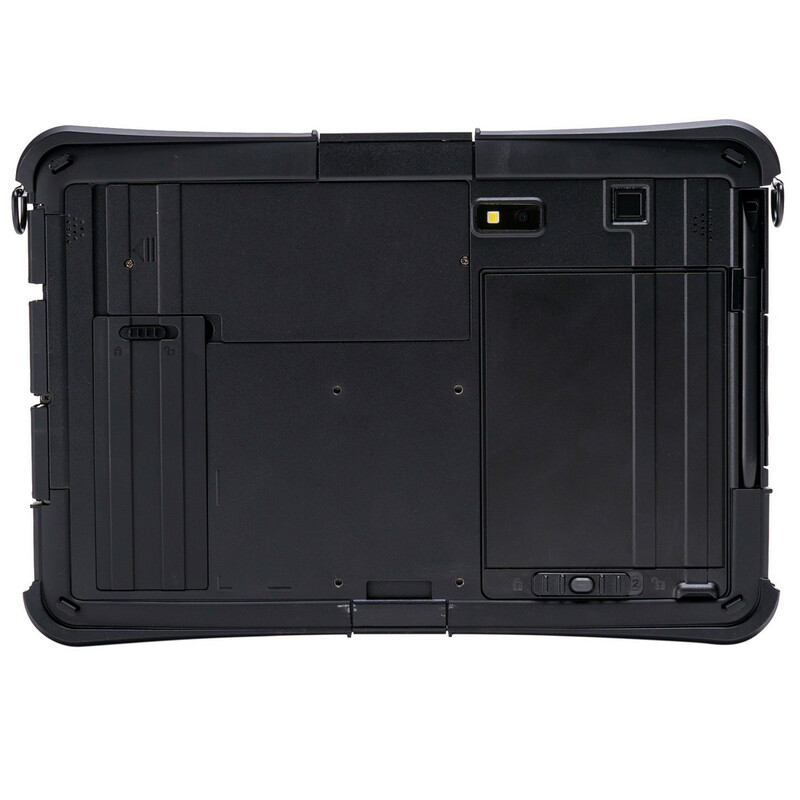 Durabook Americas, Inc. is the North American branch of Twinhead International Corporation, a leading manufacturer and customizer of rugged computing solutions, including the globally acclaimed DURABOOK brand. Driven to meet customer needs, DURABOOK devices are designed, manufactured and tested in-house to assure maximum quality and reliability. 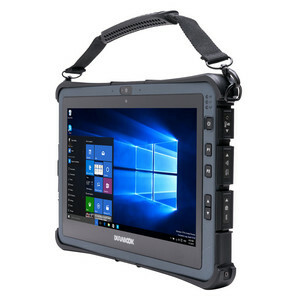 These cost-effective ruggedized laptops, tablets, and all-in-one PCs are high-performance solutions that increase productivity, drive a clear return on investment and deliver a low total cost of ownership for government and enterprise customers in markets like oil & gas, power & utilities, field service, military, and public safety. Durabook Americas, Inc. is headquartered in Fremont, California and provides final assembly, inventory, services, and technical support. For more information on Durabook Americas, Inc., and the DURABOOK product line, visitwww.DurabookAmericas.com. ©2018 Durabook Americas. All rights reserved.